Kitchens have always been at the bottom of the home renovations list for years. Outdoor patios, dining and lounge/family rooms, where guests are entertained, are usually the first areas to be considered. 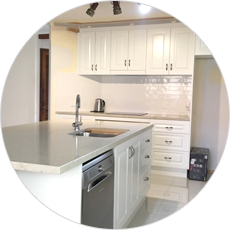 Now, there has been a big turnaround in recent years because of the increase in modern kitchen design companies and cooking shows on television. This has given the kitchen a brand new upmarket status. Women have also voiced out – and has been heard – as to where kitchens fall short. Companies are taking their concerns to heart and are now making their kitchen dreams a reality. 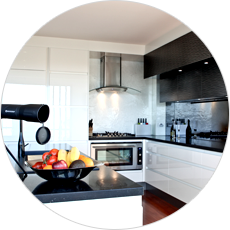 The installation of a new kitchen can make a world of difference as to how much enjoyment we get from cooking. When we have our dream design with heaps of bench space and adequate storage that is easily accessible, cooking becomes less of a chore. Having the appliances we need for specific kitchen functions makes us happier to be the head chef, especially if we have the right cookware as well. For baking cakes and biscuits, many opt for the non-stick bake ware, as it is simpler to turn out the cakes from the pan, and oiling them isn’t necessary. For roasting, many choose food grade aluminium roasting trays and trivets. Most people nowadays opt for stainless steel for their saucepans and frying pans for their kitchens in Brisbane. Modern designs have changed the kitchen from an area unseen, by all but family, to a full on function area due to their elegant, modern open plan look. Now, guests and hosts can all see and converse together while dishes are being prepared, making it much more enjoyable for the host. Of course, with this in mind the choice of cookware becomes more important than it was previously. We wouldn’t want the wrong choice to spoil the over-all result. Cookware comes in multiple piece sets, mostly stainless steel. Frying pans also come in non-stick Teflon, coated aluminium or heavy-duty cast iron. Of course, enamel cookware is still in use, but not chosen as frequently as it was a few years ago. Stainless steel is by far the best choice as it is non-porous and non staining. It is also easy to clean and looks great with its high sheen exterior. The choice of cookware can also depend on the type of cooktop used such as gas, electric elements or induction – where thicker heat conducting bottoms are needed. Whatever personal choice is made, adequate storage is needed to house the cookware. It should also be easily accessible, which means there is room between items so there is no damage caused by overcrowding. 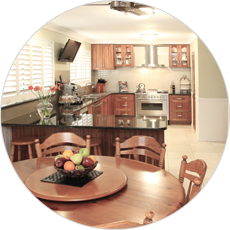 A good kitchen design company will ensure this is included in the planning stages. Craftbuilt Kitchens can assist you in this aspect so you don’t have to worry about the different points to consider, on your own. 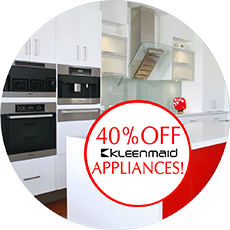 Visit our Brisbane showroom now and consult with our designers.